Virtual learning solutions ensure that your employees, customers, and partners have instant access to the training and resources they need to be successful. Now you can deliver highly interactive learning environments that can be accessed anywhere, anytime, from any device. 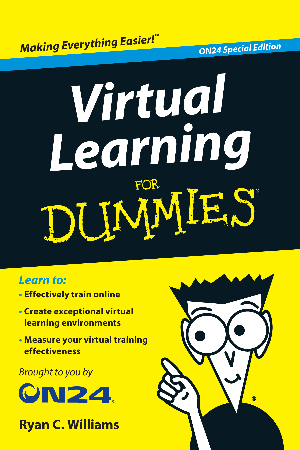 Explore the benefits of implementing a virtual learning solution with the Virtual Learning for Dummies eBook.